When building a new home, there are many important decisions needed to be made. 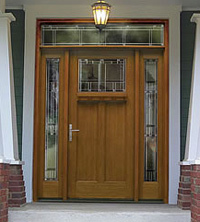 Among these decisions is choosing a front entry door, which is one of the main focal points of your home. Choose a style that best fits the way you want the rest of your house to feel and look. Also select interior doors that match the theme of your home decor. There are many styles to choose from to help insulate, protect, and beautify your new home. CK’s provides a large selection of new construction doors. The doors you decide to place in your home are a bit of your own personality put into your home. Take your time with your choices because each door is one you want to last for a long time, and you will also have to live with those doors constantly in view. You have the opportunity to choose just how your entryway will look, so start with that front door and work your way through the other doors of your house. Browse through CK’s large selection of new construction doors today.